A gun is a muzzle or breech-loaded projectile-firing weapon. There are various definitions depending on the nation and branch of service. The term "gun" has also taken on a more generic meaning, by which it has come to refer to any one of a number of trigger-initiated, hand-held, and hand-directed implements, especially with an extending bore, which thereby resemble the class of weapon in either form or concept. So here we bring you the 10 most deadliest gun in the world. The UZI Sub-machine gun is an Israeli gun from the Israeli open bolt family built by the Israeli Military Industries. It was designed by an Israeli General Uziel Gal and was first commissioned in the year 1950. Since then it has been used in various wars from the Suez Canal crisis to the Vietnam War and the War of the Falklands. This gun weighs 3.5 kg and has the capacity to fire 600 rounds in a minute. There are many variants of this gun and it is exported to over 90 countries of the world. This anti-material German rifle was designed by Ingolf Reuter and developed by a German firearm company, DSR-Precision GmbH. 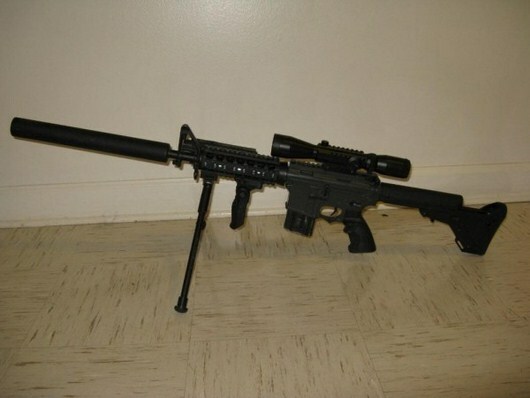 The barrel length of this rifle is 35.4 inches and it weighs a little more than 10kg. With .500BMG caliber cartridge this higher end version of the DSR 1 retains many of features of its earlier prototype. It has a monopod, free floating barrel, a fully maneuverable cheek rest, buttstock, foregrip and a magazine holder infront. Designed by Belgian FN Herstal the FN-2000 is a 3.6 kg fully automatic and gas operated assault rifle launched at the IDEX, an exhibition of military items, in Abu Dhabi. This modern day weapon equipped with NATO box magazine has thirty round cartridges with 5.56*45mm of ammunition. The popularity of the rifle made the company launch many of its prototypes which include F2000 tactical, FS2000, F2000S and F2000 Tactical TR. 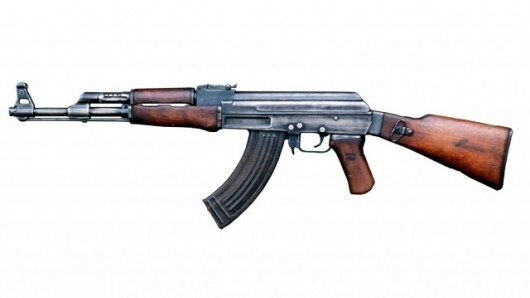 Mikhail Kalashnikov of the erstwhile USSR began designing the AK-47 assault rifle in the year 1945 but it was first used in 1949. The gas operated weapon working on the principle of selective-fire weighs 5.21 kg and contains a 7.62*39 mm M43/M67 cartridge. It fires at a very high rate of 600 rounds every min. Even after six decades the model and its variants are the most popular and widely used assault rifles in the world. This due to its low production cost, easy usage and durability. The Thompson is an American sub-machine gun invented by John T Thompson in 1919. Be it on semi-automatic or fully automatic mode, this gun can fire up to 1200 rounds every minute. It is a very easy to handle gun with its sleek frame and ergonomics. With a .45 ACP cartridge it can fire with precision at a target 50 meters away. With more than 10 different models available it is highly preferred by civilians too. The MG3 is a German General Purpose machine gun. Its first variant was launched in 1958 Rheinmetall arms factory and its design dates back to the World War II era. With a 7.62*51 mm NATO cartridge this gun weighs 10.5 kg. In order to make its operation easy this recoil-operated gun is placed atop a field tripod. It also comes in handy when enemies have to be indirectly engaged. The gun is capable of firing 1000-1300 in a minute. 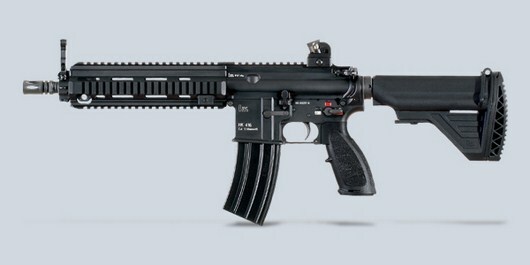 The 416 Assault Rifle was designed by Ernst Mauch for the German Company Heckler and Koch in collaboration with the Delta Force of the United States Army in 2005. 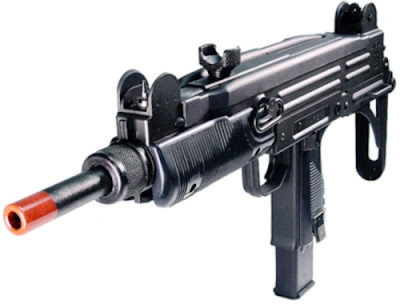 The gun is equipped with a NATO cartridge of caliber 5.56*45 mm. The gun functions on the principle of gas-piston and has the capacity to fire 850 rounds each minute. 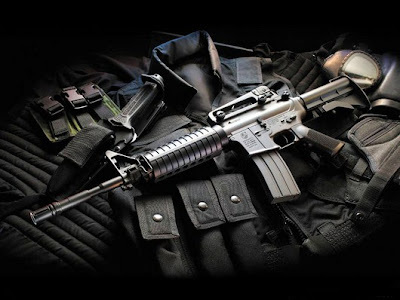 It has various civil variants as well and is one of the most popular assault rifles used by the police and military of over 15 countries in the world. 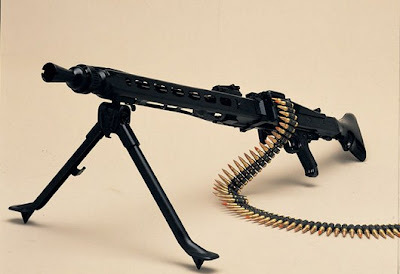 The MG4 is a light machine gun developed by German manufacturers Heckler and Koch. 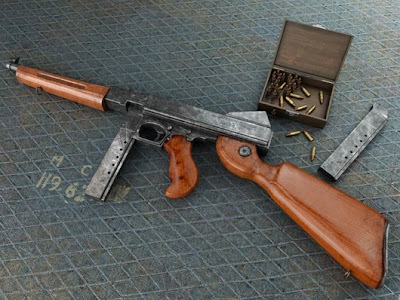 An advanced version of the MG43 it was developed towards the late 1990’s but was first introduced in the market in September 2001. 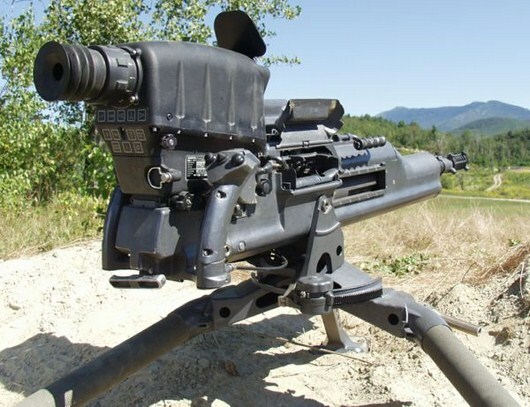 This belt fed machine gun employs a 5.56*45 mm NATO cartridge that is capable of producing 885 rounds/min. Its variants are weighed between 7.7kg- 8.55kg. The ACSW Advanced Heavy Machine Gun can be used as a two-man portable gun and also as a vehicle mounted gun. This light weight machine gun can destroy a human target 2000 meters away and a watercraft, light armored vehicle and helicopter 1000 meters away. This highly accurate action-bolt was discontinued in 2007. Accuracy International AS50 rifle, is a firearm of British origin. 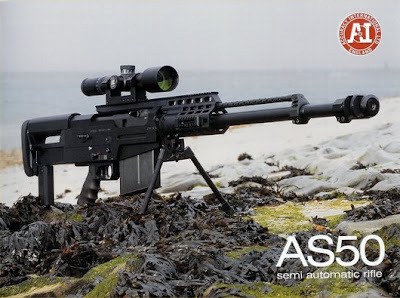 This semi-automatic weapon is capable of firing 5 rounds every 1.6 seconds and employs a .50Bmg caliber cartridge. It can shoot a target 1500 m away. The weapon is extremely accurate, highly transportable and lightweight. It can be disassembled in a very short time and can also be serviced without tools.